Here you will find our exclusive measurement packages, which are perfectly for every application. Our measurement packets include for each type of measurements, the correct components.Whether energy consulting, building diagnostics, humidity measurements in the fields of wood and buildings, industry, ultrasound, leak detection or distance measurement. 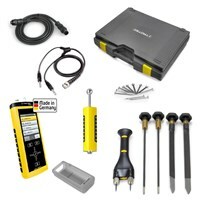 Benefit from top qualities and prices. 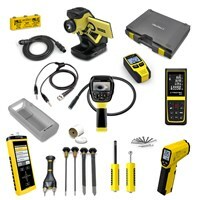 Energy Consultant / Structual Diagnostics: in measuring kits of structual diagnostics are infrared camera, the multifunction instrument T3000, different pyrometer, sensors and a video scope. 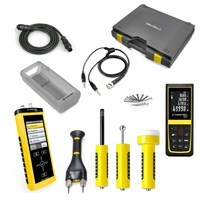 Woods Mositure:in the measurement kits of wood moisture are included the T3000 material moisture meters, connecting cables, hand-electrodes and various sensors. 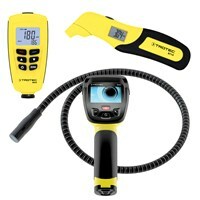 Building Moisture: in the measurement kits of building moisture are included the T3000 moisture meter, connecting cables and various thermo-hygrometer. 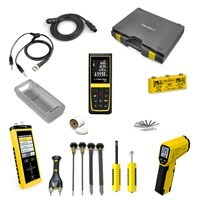 Leakage Detection: in the measurement kit of leakage detection are included the T3000 multi measure instrument, material-humidity sensor and various moisture electrodes. Ultrasound: in the ultrasound-based packages ultrasonic meter SL2000, sound-damped headphones, carrying case, external air sonic probe, shotgun and a soft protective pouch are included. 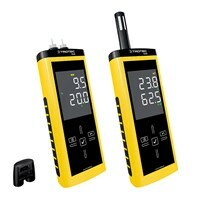 Range Finders: here you will find a Leica Disto distance meter and supplementary instruments from Trotec. 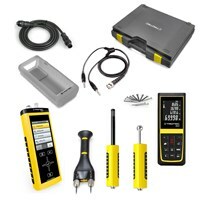 Industry: in the measurement kits of industry you will find various utensils for measuring sound, volume flow, relative humidity and much more. 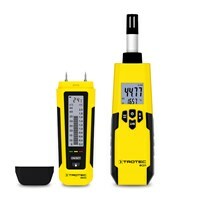 MultiMeasure Series Set: the series includes different measuring devices such as want to study for lessor, the microwave radiation, humidity or material moisture.